You’ve done your due diligence. You’ve designed and built a responsive website that ensures mobile visitors are able to find the information they want quickly and easily. You’ve optimised the site with local keywords, location information and other relevant data. Is your job done? Actually, it’s not. There’s still more that must be done to build on good website SEO in order to achieve success in the mobile world. In order to stay competitive, you have to stay ahead of changing consumer expectations. It’s about more than just ensuring that your website is optimised with the right keywords and that you have a good linking strategy. The first and most important step is to realise that your customers now expect a much more integrated, responsive experience. They want the businesses they patronise to not only be there when they need them, but to anticipate those needs in the first place. How do you do that? It all starts by digging into the information you possess about your customers. Start with their search information. What do they search? What brings them to your website? 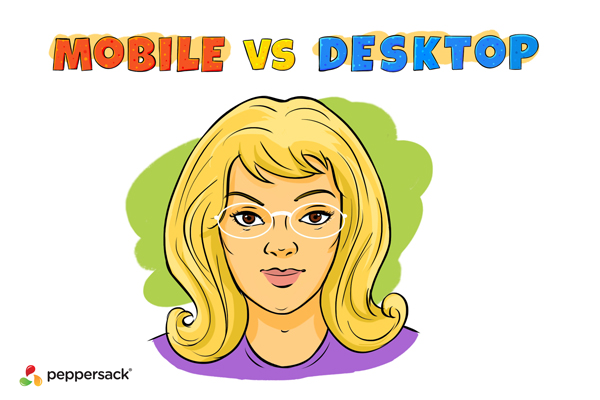 What brings users of different mobile devices to your site? Are the search terms the same? What about the intent behind those phrases? Where do users of different devices go once they land on your site? Next, you need to examine the content that your mobile visitors access. What gets the most visits? What type of content sees the most time spent? What stages do mobile users follow when accessing your content? Define trends about what content gets shared or downloaded most by mobile users. Finally, you’ll need to segment your mobile traffic by device. Is there a correlation between content access for users with a specific screen size? Do users with specific devices (or device sizes) spend little time in some areas of your site, while users with other devices spend more time there? All of this information can be used to adjust your site and make it not only more mobile-friendly, but more accessible. Google puts a lot of value on how easily usable a mobile site is, and the information mentioned above is only a small part of what goes into their weighting decisions. The most important thing is to ensure that you’re delivering the right user experience across all devices. You also need to remember that the device itself does not necessarily limit what a customer wants to do or access. It only modifies how they’ll interact with that information. Think several steps ahead. Anticipate your visitors’ wants and needs, and then go the extra mile and make it easy for them. Above all, make sure that you’re using text that’s easy to read, that your layout is simple and doesn’t obstruct the screen, and that you guide your visitors with appropriate calls to action on each page. Building on good SEO to achieve better success in the mobile world is possible, but it can be difficult. Peppersack can provide the solutions needed. Contact us today.